When was the last time you felt really good – well, full of energy and vitality? Have you been suffering long-term from fatigue, pain or debilitating symptoms from which you can find no relief? Perhaps you feel frustrated after months or years of consultations with therapists, which have not helped you or provided lasting relief – you are not alone, and help is at hand. The pace and stress of modern life can have a negative effect on our health. Stress, worry and anxiety lower the immune system, opening the way for disease. Environmental toxicity, allergies and nutritional deficiencies also take their toll on health long-term. Traditional western medical techniques treat symptoms. 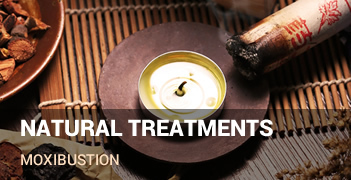 Acupuncture assists, manages & compliments all medical therapies. My holistic approach, incorporating acupuncture and natural medicine are both an integral part of Chinese Medicine practice, which may help to manage a range of symptoms including pain, stress & fatigue. The Australasian Branch of the Toyohari Association (ABTA). I hold a Bachelor of Health Science in Acupuncture from Victoria University, postgraduate qualifications in acupuncture, and have been trained in the Toyohari acupuncture technique in Japan. I stand behind my work. My Patients benefit on fast recovery in a short time – NATURALLY. I invite you into the peace and tranquillity of my private acupuncture treatment rooms where you will be treated with care, respect and confidentiality. I look forward to meeting you and nurturing you back to good health and well-being. Serving acupuncture patients of areas including: Ipswich, Gatton, Springfield and Brisbane including the suburbs of Karana Downs, Mt Crosby, Anstead, Pullenvale, Bellbowrie, Moggill, Kenmore, Pinjarra Hills, and Brookfield.